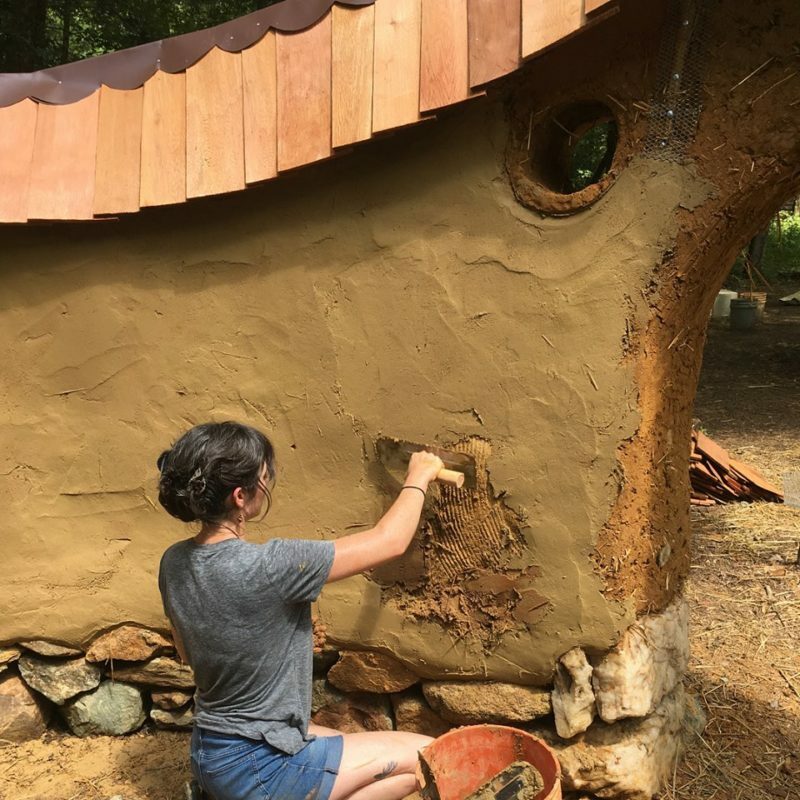 Cob building combines clay sediment, sand, fiber, and water, and is hand sculpted to form walls, benches, ovens, and fireplaces. 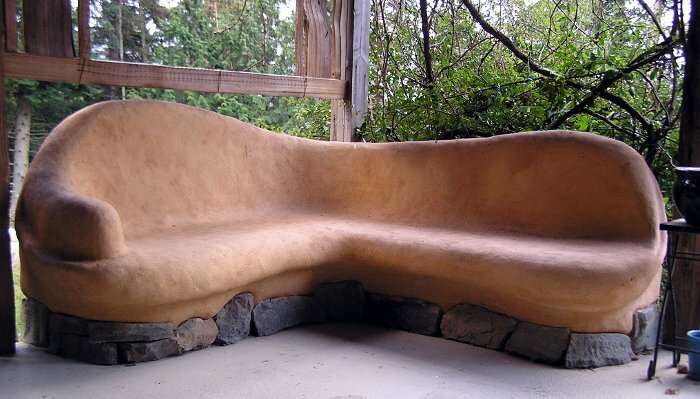 Cob building makes use of readily available, affordable, non-toxic materials to build beautiful, organic structures. 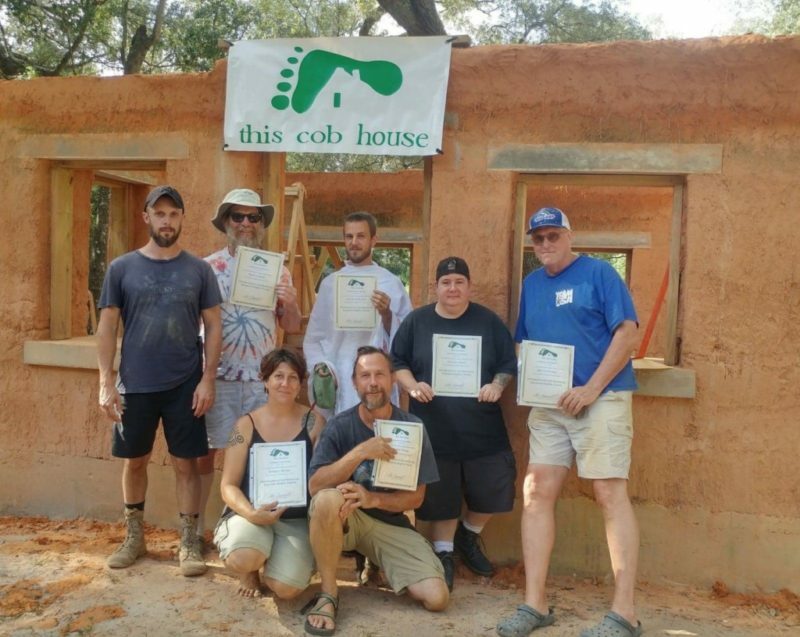 The course is appropriate for both first-time builders and for professionals in the building trade who are interested in natural materials. In this six day cob workshop, we focus on the characteristics of the natural materials most commonly used in construction: clay soil, sand, and fibers. 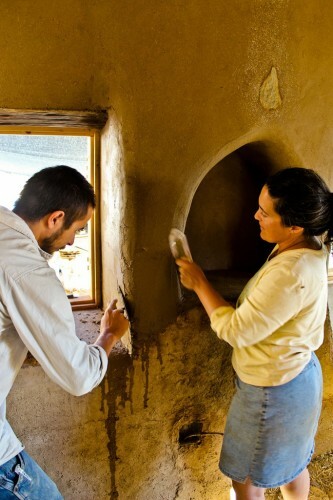 Our main focus will be cob, though we will touch on various other building techniques that utilize the same materials, including adobe block, light straw-clay, wattle and daub, and plasters. We will discuss how to find and choose appropriate soil for construction, how to create various mixes, how to attach wood to earthen walls, and how to use earthen materials to build walls, sculpt niches, shelves, and furniture. This course is primarily a hands on course, where we learn by doing. We will be building a small structure from start to finish. As a complement to the hands-on portion of the course, we will include slide shows and discussions of the theoretical aspects of natural building. Subjects include building design and siting, passive solar design, foundations and drainage, earthen floors, appropriate roof design, and wiring and plumbing for natural structures.